We will use upto date training methods to suit your goals and needs. Personal Training (PT) sessions are designed around your needs as apposed to a class which is more generalised. With a PT session we make sure you learn the proper techniques, avoiding injury, and maximising your valuable time spent at the gym. 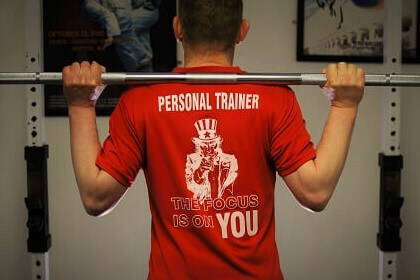 Personal training with Mark at Focus really does give you that personal touch. Mark will keep you informed and select the most appropriate and effective training methods to suit your goals and needs. If your just starting out, or starting back again, or maybe an experienced athlete looking for the next level or extra 1% needed to improve your game PT is for you. What diferent PT sessions are available? At Focus we offer one to one sessions, partner sessions, and group sessions. During your initial consultation, we will by the end know where you want to get to and how best to get you there- we prefer to use methods of training you enjoy and fit the program around your schedule but as that great saying says “ if you want something you’ve never had, you must be willing to do something you’ve never done” so trust us when we suggest things to help you reach your targets. We believe our job as your personal trainer is to give you the knowledge and understanding to one day be in charge of your lifestyle changes- we are happy to help you on your journey. 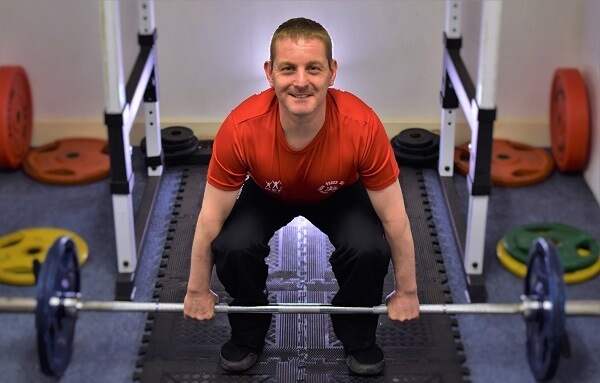 Mark qualified as a PT back in 2009, under the well respected European Institute of fitness, he has also continued to further develop gaining S&C qualifications under Scottish Rugby and the UKSCA. Along with other sport coaching courses run by SportScotland.